Canadian diplomats walk out on the Iranian president's speech to the UN General Assembly after a Foreign Affairs spokesman denounces Mahmoud Ahmadinejad's "hateful, anti-Western, anti-Semitic views." Canadian diplomats walked out of the United Nations General Assembly on Wednesday before Iran's president spoke to the world body about his vision for a "new world order." Mahmoud Ahmadinejad's appearance on the second day of the 67th session of the assembly also sparked a boycott from American delegates, who walked out shortly after the Canadians. Both nations were the only two that skipped Ahmadinejad's address, and the delegates later returned. The Israel delegation was not present because of Yom Kippur, the holiest of Jewish festivals. It was likely to be Ahmadinejad's last visit to the UN General Assembly as president, as his second four-year term ends in June. Observers also noted that his speech on Wednesday was one of his "mildest" in the last eight years, CBC's David Common reported from New York. A European Union diplomat told CBC News that all EU delegates stayed for the address because Ahmadinejad appeared to tone down the rhetoric he's known for. "Ahmadinejad gave a long rambling speech. Previously we've walked out because of his anti-Semitism, threats against Israel and 9/11 conspiracies. This year his only crime was incoherence," the diplomat said. "We will not sit silently in our chairs and listen to Iran’s hateful, anti-Western, anti-Semitic views. If anything, today's address only reinforces our decision earlier this month to suspend diplomatic relations with Iran." Baird is expected to speak for Canada at the UN General Assembly on Friday. Relations with Tehran soured early in the month after the Canadian government announced it was closing its embassy in Tehran and expelling Iranian diplomats. At the same time, it declared Iran a "state sponsor" of terrorism. Iran's foreign ministry issued a statement Wednesday referring to the break in diplomatic ties, saying that's primarily why Iranians should avoid travel to Canada. The state-run news agency IRNA said the ministry has deemed there is growing "Islamophobia and Iranophobia" in Canada. The Tehran Times said the Iranian Foreign Ministry issued the travel advisory because criminals and "anti-Iranian groups" bent on revenge could now target Iranians visiting Canada, knowing they no longer have an embassy. IRNA quoted the ministry as saying Iranians in Canada have been denied the right to access their bank accounts to "do ordinary transactions." 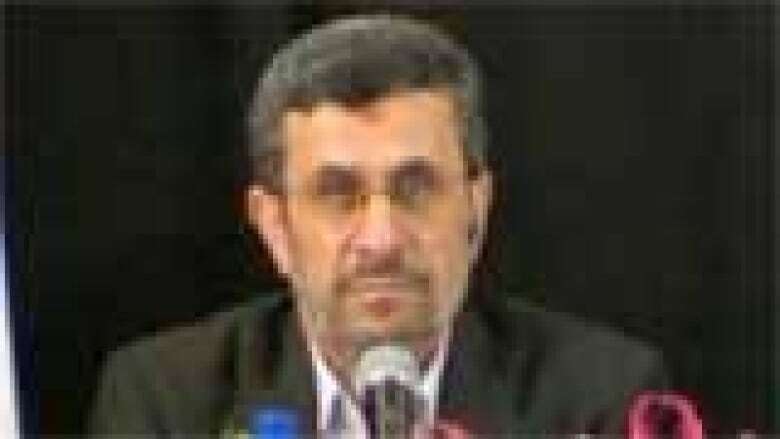 But in Ahmadinejad's only press conference, the leader of the Islamic republic seemed bizarrely off-message. Asked by CBC News what he considered to be the state of Iran's relations with Canada, he brushed the matter aside as a minor one, in contrast to his government's warnings about Canada. "I fundamentally don't see this as a very important issue. During certain relations, there are advantages for both sides, and when they are interrupted, the advantages also are severed," he said. "Of course, we did not have a considerable economic relationship with Canada." In what CBC's David Common described as "probably the most bizarre part" of a UN General Assembly news conference on Wednesday, Iranian President Mahmoud Ahmadinejad thanked the New York Police Department for helping to get him through traffic and said he wished he'd been able to enjoy the city's sights. The press conference came after the Iranian leader, known for his anti-Semitic and anti-American rants on the world stage, delivered what is likely to be his final speech before the general assembly on Wednesday. Ahmadinejad's eight-year term expires in June. "He says his one regret after eight years of coming to New York — and probably not even being able to come out here again — is that he really didn't have the opportunity to go out and meet the friendly New Yorkers," Common reported. In Ottawa, Baird told reporters gathered in the House of Commons foyer that Iran's travel advisory was "absolutely ridiculous" and that "I think 99 per cent of Canadians would share that view." The Iranian president used his address to the UN to called for a "new world order." He said the "current order" is based on discrimination and has been "shaped according to selfishness, deception, hatred and animosity." Earlier in the speech, he took aim at his government's longtime enemy Israel, saying Iran is "under continued threat by the uncivilized Zionists." 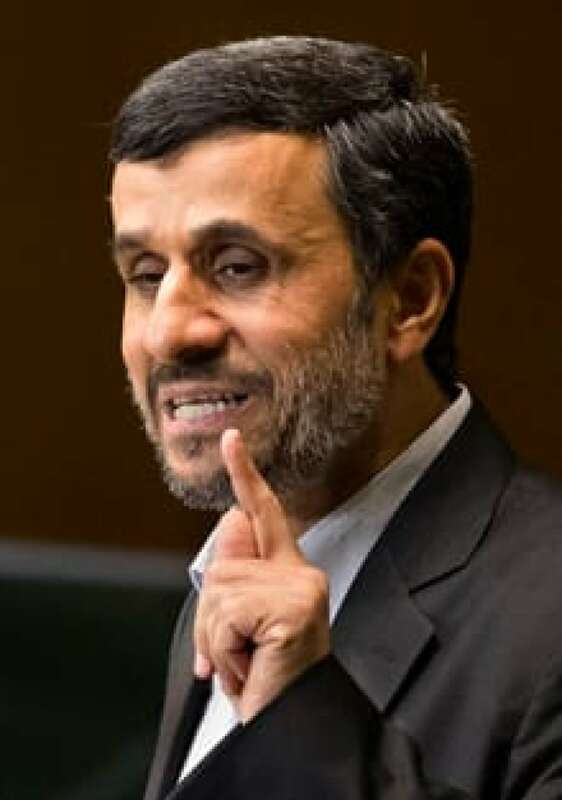 Ahmadinejad criticized the United States for killing Osama bin Laden — without mentioning the al-Qaeda leader by name — saying the U.S. dumped the body of the "culprit" behind the 9/11 attacks into the sea "without trial." Last year, the Iranian president used his time at the UN podium to question the Holocaust and the U.S. account of the Sept. 11, 2001 attacks. Canada's UN delegation boycotted that speech. Ahmadinejad's speech went ahead despite the concerted efforts of some, including Liberal MP Irwin Cotler, to convince UN Secretary General Ban Ki-moon to pull the plug. "Allowing President Ahmadinejad to address the UN General Assembly is a cruel parody of law and justice that will put us on the wrong side of history," Cotler wrote in a recent letter to the secretary general and U.S. Secretary of State Hillary Clinton. 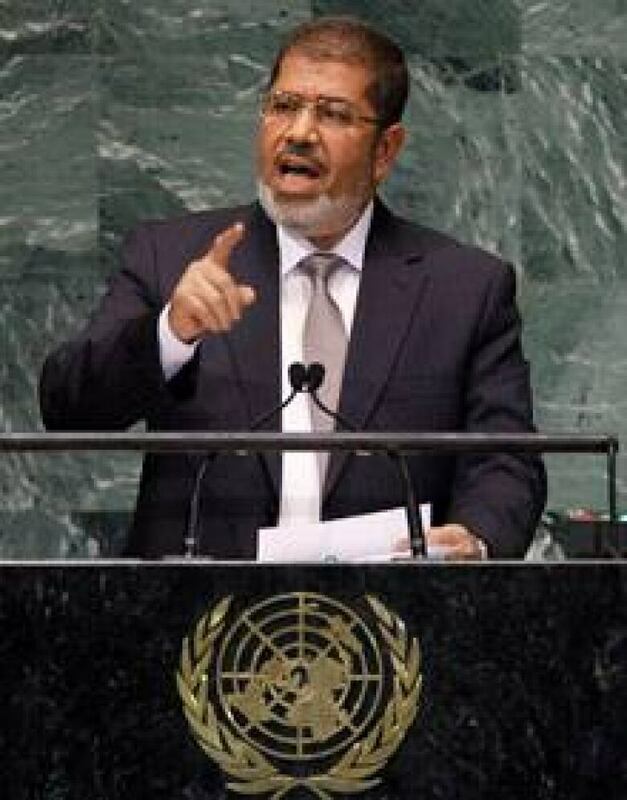 After Ahmadinejad's speech, Egyptian President Mohammed Morsi stepped up to the podium for his United Nations debut. "Egyptians aspire to a modern state that is in tune with the present [and] based on the rule of law, democracy and respect for human rights," said Morsi, who was elected in June following the Arab Spring revolution. He said Egyptians want a state that "seeks justice, truth, freedom, dignity and social justice." "The Egyptian revolution that was founded on the legitimacy that I represent before you today was not the product of a fleeting moment or a brief uprising," Morsi said. "This revolution and all the ones preceding it and following it in the region were triggered by a long struggle of genuine national movements that sought a life of pride and dignity for all citizens." In a reference to the short film made in California that denigrates Islam, Morsi said Egypt respects freedom of expression, but not if it is used to incite hatred. He also said his country opposes foreign military intervention in Syria. On Tuesday, U.S. President Barack Obama told the assembly that while his country remains committed to a diplomatic solution to questions over Iran's nuclear program, the U.S. will do what it "must to prevent Iran from obtaining a nuclear weapon." Iran says its program to enrich uranium is for peaceful purposes, such as medical and energy needs, but Western leaders believe Tehran plans to use the program to build nuclear weapons. Nahlah Ayed: Egypt's Mohammed Morsi, friend or foe?